I bought this for my son's Peg Perego John Deere 12v tractor, the original 8Ah battery was tired and soon ran flat. 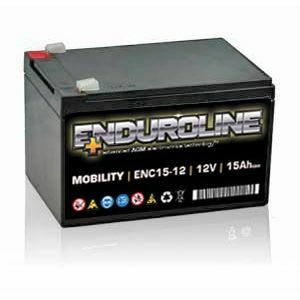 With this enduroline 15Ah battery, the tractor has bags of power, is nice and fast and it lasts for hours. So far even after hours of play the tractor hasn't run flat. I really recommend this for 12v peg perego toys. You can cut the cover off the original battery and the teminals and fuse are easily swapped over to the enduroline battery.